National Skill Development Corporation India (NSDC), established in 2009, is a not- for- profit company set up by the Ministry of Finance. 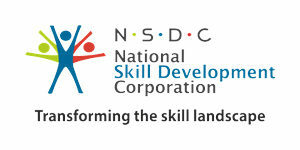 NSDC aims to promote skill development by catalyzing creation of large, quality and for-profit vocational institutions. Further, the organisation provides funding to build scalable and profitable vocational training initiatives. Its mandate is also to enable support system which focuses on quality assurance, information systems and train the trainer academies either directly or through partnerships. NSDC acts as a catalyst in skill development by providing funding to enterprises, companies and organizations that provide skill training. 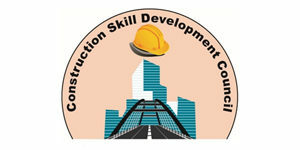 Construction Skill Development Council of India is promoted by Construction Federation of India (CFI), Builders’ Association of India (BAI), National Highways Builders Federation (NHBF) and Confederation of Real Estate Developers Association of India (CREDAI). CSDCI aims to develop, establish, standardize and sustain Industry Competency Frameworks, Skills Levels, Occupational Standards, Build, create and deliver Capacity, Investment and Skilling outcomes which shall meet or exceed Construction Industry Expectations. 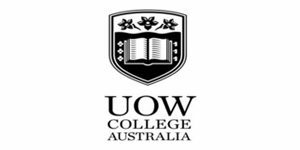 UOW Enterprises (UOWE) is a subsidiary group of the University of Wollongong (UOW). UOWE owns and operates the University of Wollongong in Dubai (UOWD), UOW College Australia (UOWCA) and UOW College Hong Kong (UOWCHK). 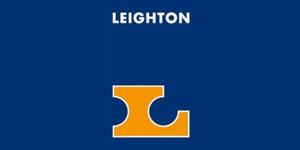 Employing more than 1,100 staff globally these institutions offer over 100 courses to over 13,000 students annually. UOW College has a long and proud history as one of Australia’s most successful university colleges. Our success lies in the delivery of English language courses, academic pathway programs, higher education diplomas and vocational education and training, coupled with an unwavering focus on delivering exceptional student experiences and a passion for lifelong learning. UOW College first opened its doors in 1988 at the University of Wollongong main campus and has helped more than 31,000 students from over 70 nations continue their education, as well as meet their personal and career goals. We are proud to have provided the first and crucial stepping stones that have enabled our Alumni to achieve tertiary qualifications and establish themselves in successful careers, from Google to Oxford university. UOW College is also working with partner institutions in Saudi Arabia, India, Myanmar and China to deliver high quality programs internationally. OGM’s role with IL&FS is training for international job placements of trade skilled workers. The first batch of trainees with OGM are undertaking welding courses in Ropar, Chandigarh linked to Cheema Boilers. As the trainees successfully finish their technical institute workshop learning, they will be intern placed with Leighton India in Gurgaon for four months for their on-site learning. On successful completion of the course the batch will be presented for two-year contract positions in the Gulf region with NSH and other partner companies. 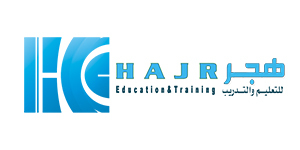 HAJR Technical Education and Training, an educational company specializing in technical training and education for the last two decades. Based in Saudi Arabia, HAJR consists of the Technical Higher Institute for Engineering and Petroleum (THIEP) and five other schools focused on health sciences, language, information technology, and parallel trainings. THIEP is one of the pioneer institutes in the Kingdom offering technical and vocational programs namely Surveying Technology, Mechanical Inspection and Non Destructive Testing, Civil Technology, and Oil and Gas Exploration. It also offers technical short courses in Civil Engineering, Mechanical and Electrical Inspections and Soft Skills. THIEP is operating under the supervision of the Technical and Vocational Training Corporate (TVTC), a government organization aimed at developing the national human resources through appropriate training in order to meet the needs of the local labour market and industries.